Many of us, are die hard fans of F1. We love the speed, the thrills, and the sheer adrenaline rush of it. Yet for a nation of 1.3 billion driving enthusiasts - we have never had an F1 champ from our shores. But this script might just be redefined- if this 14 year old genius from Bangalore, receives the much needed support from all of us. His achievements speak for himself. 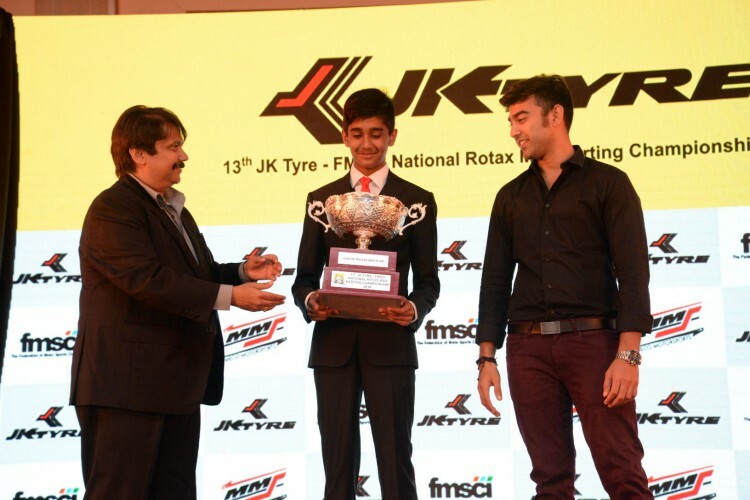 2-time JK tyres national champ! Exemplary performances in the FIA Academic Trophy in 2014, 2015! Winner of the prestigious young achievers award from the Rotary Club of Madras East (Spiritual home of Indian Motorsports)! He has his sights set on becoming the next World Go-karting championship before proceeding to conquer F3 and finally F1. His dream is to win the Grand Prix at Monza, Italy, his favourite circuit. Yash took his first laps around the racing track, at a delicate age of 9 years. Since then, nothing has stopped him from speed driving towards his ultimate dream. He made his debut on the professional race track in 2012. In the two years that followed, he had taken over both, the Indian and Asian race tracks, getting stronger with every race. His willingness to learn every lesson he was taught on and off the tracks, has proved that he is in it, to win it. Yash has been a promising racer, and has delivered return on investment to all his sponsors who believed in his talent. His progress on the tracks have been covered by over 300 media houses like Star Sports, ESPN, Set Max, M-TV, Doordarshan, UdayaTV, TV9 etc. But a dream such as Yash’s come with its own set of hardships. Beside putting in hours of training, along with balancing his studies, Yash follows a stringent fitness and diet regimen to keep his mind and body alert. For this, he trains at the Quantum Leap Performance – a training center professionally run by Mr. Ramji Srinivisan, ex fitness coach for the Indian Cricket team, and Mr. Bhadri Narayanan, the US based mental conditioning coach. With training as meticulous as his, accountability, integrity, respect and a hunger to succeed comes naturally to Yash. Luckily, he has had the rare opportunity to train under Akbar Ebrahim, the legendary racer who is the first Indian to race on international circuits. Yash’s dream is to compete in the World Championship, and bring home the title for our country in 2017. He is looking to be sponsored so that he can represent India in the Go-Karting World Championship Race. If you believe that Yash can bring home glory, please donate to fuel his fast and furious dreams. His sport requires lots of investment in terms of gear, training and exposure. You can also make a big difference to the dreams of this little legend by letting others know how proud he is making his country. So, contribute directly, share his amazing journey on different social media platforms like Facebook and Twitter, create that buzz around him and even start support campaigns on his behalf. If you’d like to know more about Yash’s achievements, have a look at his website, and Facebook page. Your share could be as good as a donation for Yash Aradhya! Not everyone can afford to take care of their loved ones. Yash Aradhya's life can only be saved by donations made by kind people like you.